Five Nights at Freddy's has a huge fan fiction community, so it makes sense that the next item on the FNaF checklist is an official novelization. It's not been directly announced, however: users have been forced, once again, to piece together evidence on the official Scott Games website. It wasn't hard though. 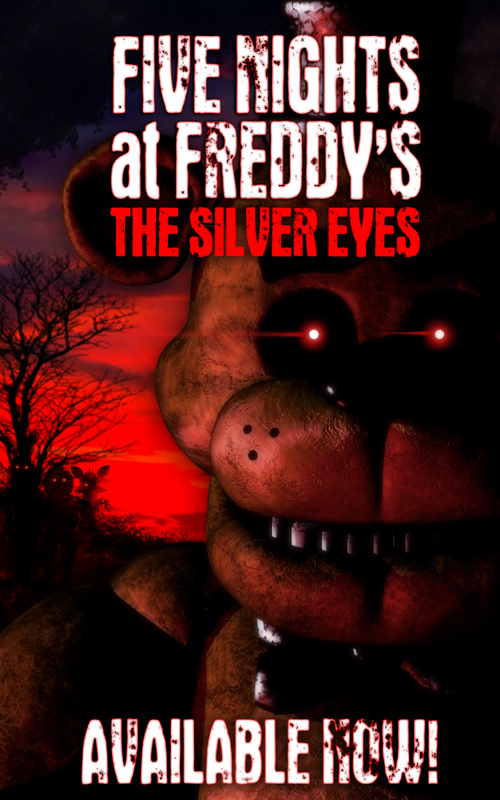 This image, which kinda looks like a book cover, has the filename FnaF_TheNovel.jpg. Tricky! Meanwhile, if you look at the Scott Games website's source code, there's a message about an imminent release on Amazon Kindle. That's likely to happen on December 22, judging by the packshot on the website. It's no surprise that Five Nights at Freddy's is getting a novel. In fact, I'm surprised it hasn't happened sooner. The series is already getting a film adaptation after all, and with a new, non-horror RPG instalment due next year, Scott Games is happy to keep producing fiction around its creepy animatronic-infested universe.